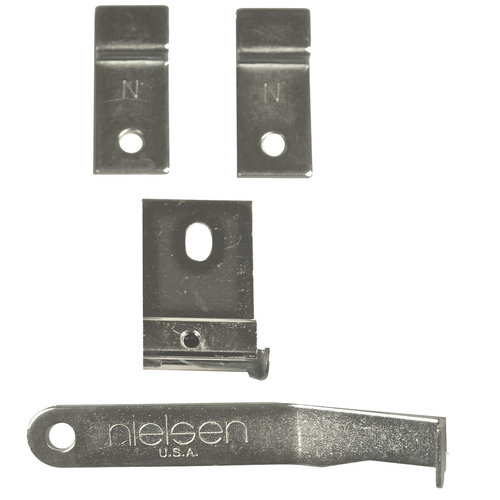 This polybag of hardware contains hanging devices, spring clips, corner hardware, and bumpers - everything you need to assemble one Nielsen metal picture frame. 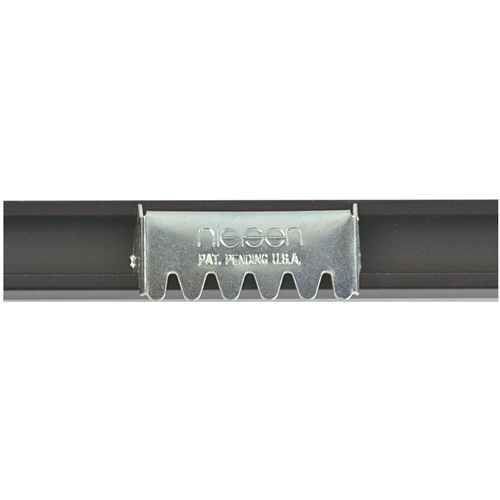 The standard omni hanger is the most commonly used hanging device on Nielsen Metal Frames. It can be used on all size pictures and is very strong. The hanger is placed into the groove and moved into position. 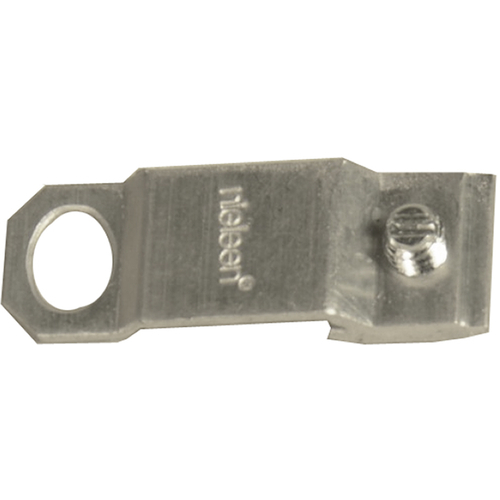 A screw driver is used to tighten the set screw. The advantage of snap hangers are easily adjusted. Rather than changing the picture hook in the wall to adjust the height of the picture, you could merely press down on the snap hanger and move it up or down in the channel. The notched hanger is used for smaller pictures to hang the artwork package on the wall. 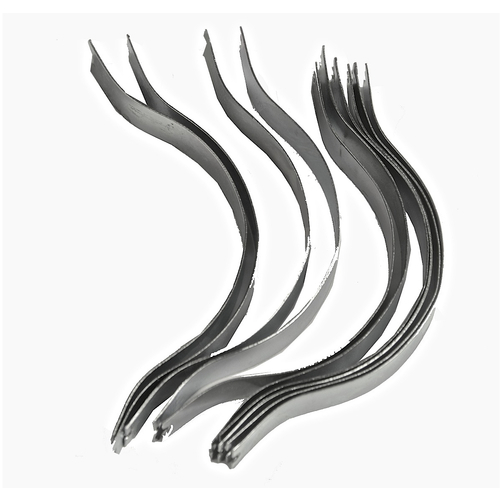 The advantage is that it is easier to install, and eliminates the need for wire. 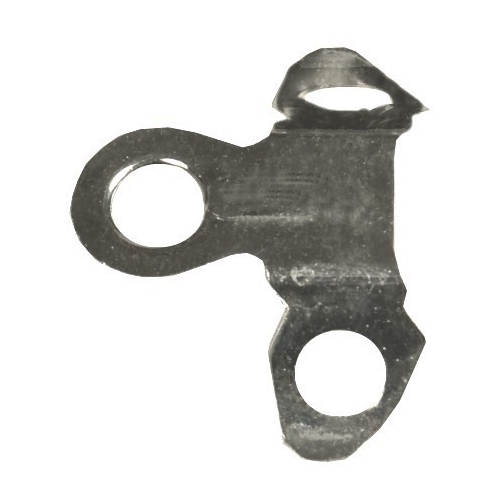 Spring tension clips are used to secure the artwork in the frame. They are inserted between the frame channel and the backing. This system is designed to prevent theft of artwork. 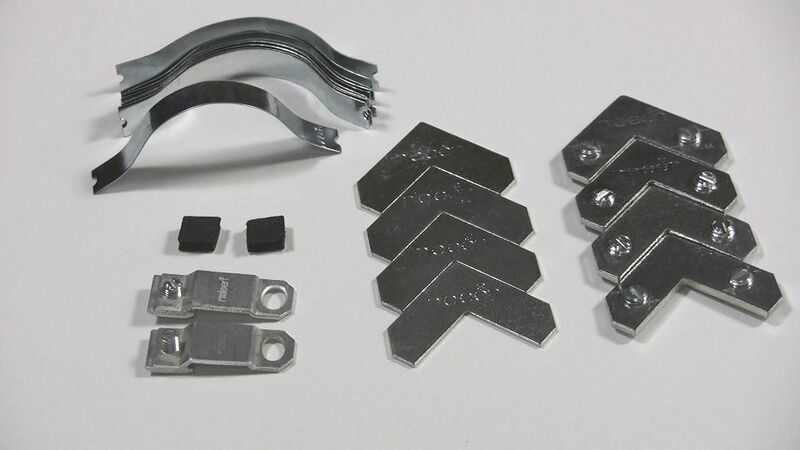 Each package includes everything you need for one metal frame. Each order will include a special key which is used to remove the framed artwork from the wall. Complete instructions are included.